SCVHistory.com SR9602 | Magic Mountain | Initial Construction, 1969. 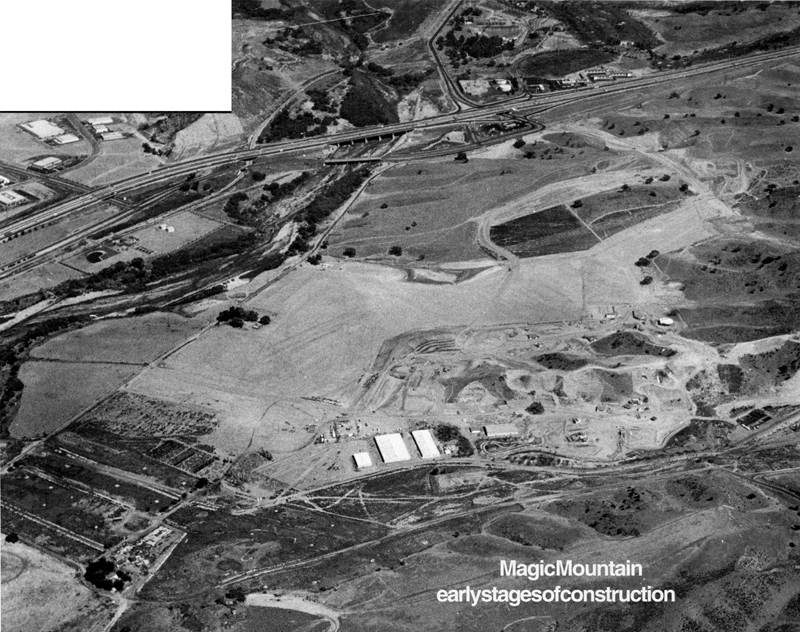 Earliest known aerial photograph of Magic Mountain under construction, probably November or December 1969. The view is eastward, showing Interstate 5 (which had recently replaced Highway 99) and the area that would become the Valencia Industrial Center.